“Please drink responsibly.” It feels although we hear this phrase on almost every beer commercial during sporting events, and we see it blasted on almost every beer print advertisement, usually somewhere near the bottom. Although the alcohol industry says it’s making an attempt to make sure that their products are consumed responsibly, it is estimated that around 17.6 million Americans suffer from alcoholism or alcohol dependency. These figures would roughly translate to around one in every twelve Americans currently. With such a high number of people under the control of an addiction to alcohol, it should come as no real shock that alcohol is the most commonly used sedative in the United States. If we really take a minute to sit back and think about this data, it should go as no surprise that chances are we know someone who is suffering from alcoholism. Many people who are suffering from alcoholism, are not going to come out and admit that they have a problem. Often times those suffering from alcoholism might not even suspect that they have a problem until a family member or loved one confronts them about their problematic drinking. Before you engage in conversing with someone about their drinking habits, there are certain signs that you can look for to see if one’s drinking is reaching the point where it might be characterized as an addiction. Someone might have problems at work or school because of your drinking, such as being late or not going at all. A person might have trouble remembering events from times when you were heavily drinking. Some legal repercussion might have arisen from somebody’s drinking, such as DUI’s or other charges while under the influence. Friends or family members may have had a conversation about how an individual’s drinking has gotten out of control. Someone might have trouble quitting drinking, or losing control over how much he or she drinks. 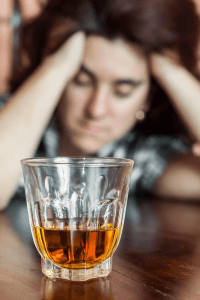 A person could develop withdrawal symptoms when they try to stop drinking, which could include feeling nauseous, shaking, sweating, and anxiety. A person keeps drinking no matter how it may be negatively affecting their relationships with family and friends. A person can’t stop drinking, even if it is causing serious damage to his or herself. If you or someone you know is suffering from any of the above symptoms, it would be in your best interest to contact a health care professional as soon as possible. A health care professional might recommend the services provided by alcohol rehab centers. Alcohol rehabilitation centers are able to provide care for you throughout the entire journey to recovery. From detox services to therapy sessions, and other wellness programs, Alcohol rehab centers offer many programs that are geared toward helping individuals overcome their addiction to alcohol and other substances, with the end goal of starting a new life focused on sobriety. Even though these tools are only a phone call away, it is up to the person suffering from addiction to make that call or to speak to a friend or family member about getting the help that they need. If you or someone is ready to turn their life of addiction around, please make that call as soon as possible.